High-performance computing (HPC) tools solve complicated and time-consuming problems and are of great value in analyzing modern military and security issues. 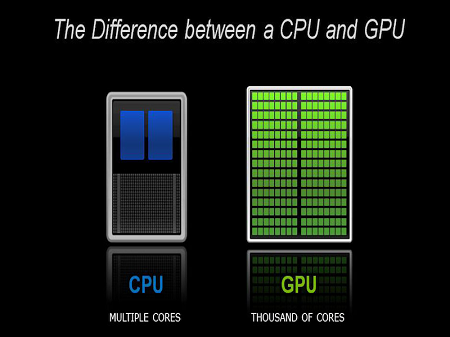 In the past, data collection activities that generate petabytes of data, such as satellite imaging or unmanned aerial vehicle sensor feeds, could require several Core differences between a CPU and GPU: Each GPU can provide hundreds, or even thousands, more cores than a typical multi-core processor. Source: Chassis Planshours or even days for processing and were often sent off-site for evaluation. By supplying parallel-processing techniques for solving complex computational problems in a ruggedized platform, the HPC computer can be deployed to in-theater locations and has revolutionized data capture and analysis for military planning. A new white paper from Chassis Plans delves into the capabilities of HPC and why it is critical for many defense, military and industrial applications. These systems accelerate the processing of geospatial intelligence, videos and images.